Vaughan Howard, Ryan Wheatley, Katie Paine, Hilary Sadek and Janenne Eaton. 'Couper le Soleil' is a recent work for a group exhibition, 'An Excavation', curated by Katie Paine at c3 Contemporary Art Space. The year before, Schwartz began working as an archivist for Janenne Eaton and was tasked with cleaning, restoring and digitising slide film documentation of her works made between 1987-91. In looking deep into those images’ pixels and hazed plateaus of colour and tone, Schwartz became fascinated with the dust particles which floated in zones of exact yet indescribable space. With qualities similar to NASA’s Cassini’s imaging of the rings of Saturn, Schwartz took to rendering medium format documentation slides of screen-capture compositions of dust particles, in homage to Eaton's ineffable formations and inexplicable moments in space and time. Rohan Schwartz. 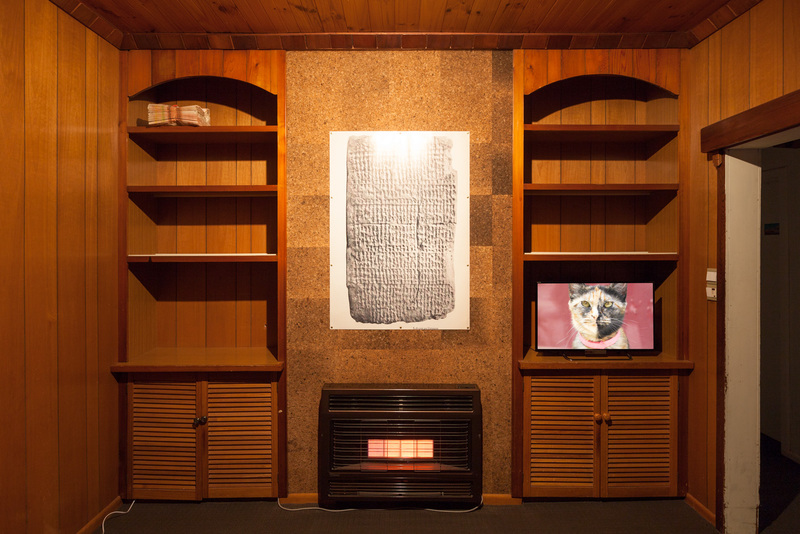 'The Golden Lion', 2014 (installation view) Number Eight Agnes Street, Thornbury, Melbourne. Matthew Greaves and Daniel Stephen Miller. The Golden Lion was an exhibition for which Schwartz brought his assemblage practice to an intimate wood-panelled lounge room in a suburban house. The exhibition comprised of altered magazines, videos documenting fitness dancing groups in Southwest China and screen grabs of the artist’s Google Calendar. Rohan Schwartz. 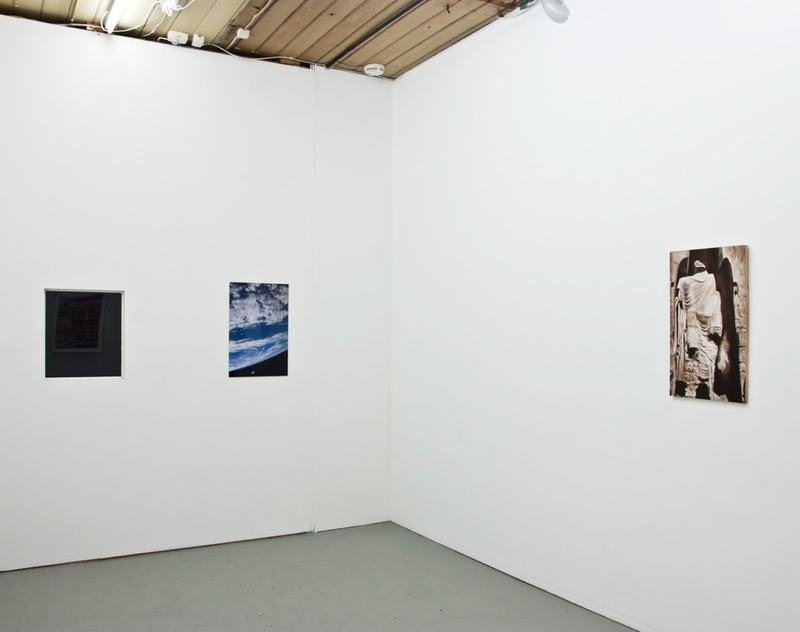 'Pictures at an Exhibition', 2013, (first installation view) West Space, Melbourne. Rohan Schwartz. 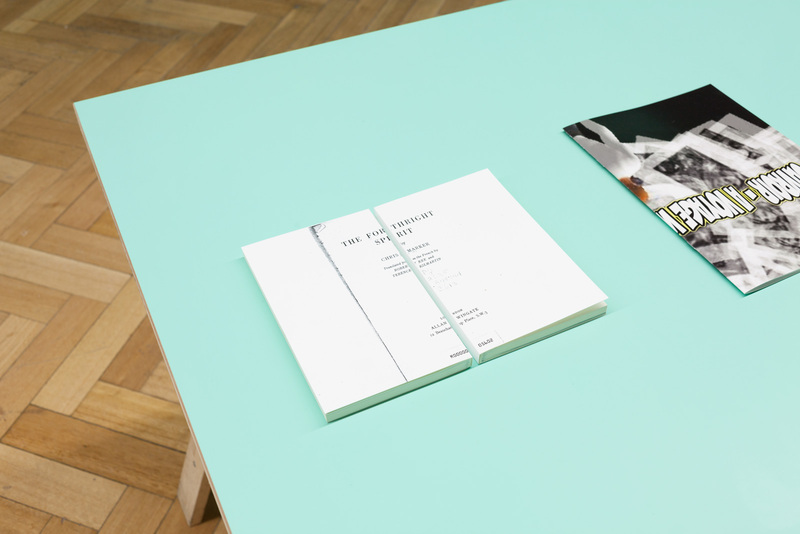 'Pictures at an Exhibition', 2013, (second installation view) West Space, Melbourne. Aurelia Yueyi Guo, Vaughan Howard, Matthew Greaves, Daniel Stephen Miller. 'Pictures at an Exhibition' was an exhibition at West Space in Melbourne, 2013, which payed homage the oeuvre of the late French filmmaker and artist, Chris Marker. Artworks ranged from one-sheet posters, a Guillaume-en-Egypte cat t-shirt; selective soft cover bootleg reprints of Marker's one-off fiction novel, The Forthright Spirit; a translation from French-to-English of Alexandre Kha’s Marker fictional biography, The Image Catcher; comic-book homage by Max Moswitzer, Ouvroir - A Voyage with Sergei Murasaki; and a text work by Janenne Eaton. The exhibition relayed Marker's obscure and only occasionally distributed works in more accessible and tangible formats. Rohan Schwartz. 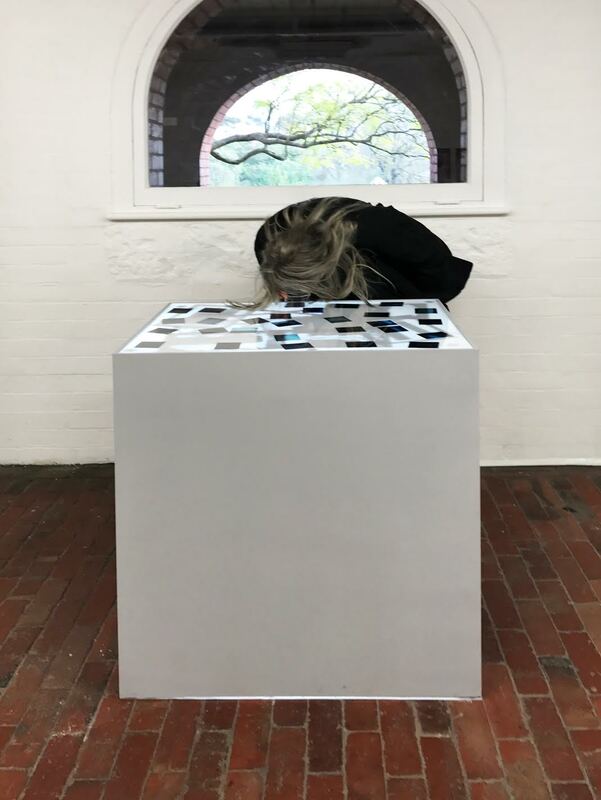 'No comma after realm', 2010, (first installation view) RearView Gallery, Collingwood, Melbourne. Rohan Schwartz. 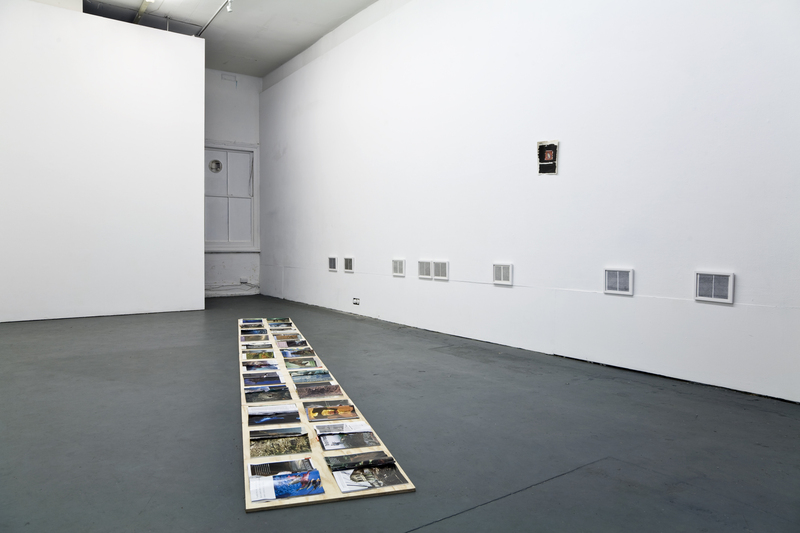 'No comma after realm', 2010, (second installation view) RearView Gallery, Collingwood, Melbourne. Matthew Greaves and Simon McGlinn. Bringing together paintings, photographs and video that appropriated images from traditional sources of print and intimate and mundane experiences, exhibition No comma after realm contemplated the heedlessness of time and boundlessness of desire as it surveyed an assembled landscape of monuments: a Dalai Lama postcard; a Babylonian tablet that predicts future eclipses; and a full page advertisement––all of which, for Schwartz, attest to both the impediment of ignorance and the search for insight. The works interrogated the frontier of definition and worldly frontiers for conquer and occupation. A digital photo frame that displays the happy-snap of two astronauts in front of the Hubble telescope and a painting of one of the Buddhas of Bamyan monuments as it looked before the Taliban destroyed it, are works that reveal this enquiry. 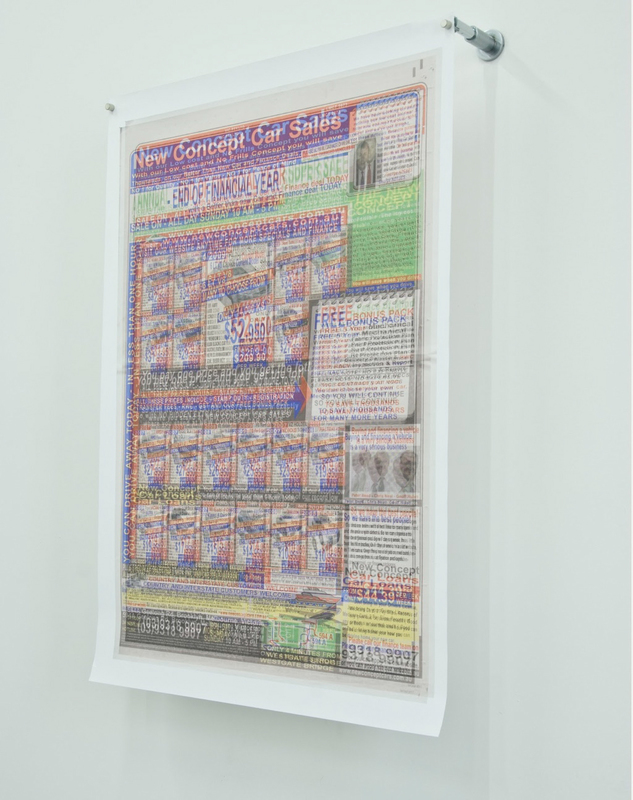 A stereoscopic rendering of an overloaded ‘New Concept Car Sales’ advertisement taken from a tabloid newspaper becomes a poster on the gallery wall – the three-D gimmick giving this verbiage perceptual depth in compensation for its lingual shallowness. This metaphorical snow blindness underpins the entire exhibition. Rohan Schwartz and Krishnamurti Suparka. A wound, disembodied, 2010, (first installation view) Seventh Gallery, Fitzroy, Melbourne. Rohan Schwartz and Krishnamurti Suparka. A wound, disembodied, 2010, (second installation view) Seventh Gallery, Fitzroy, Melbourne. Suparka, Vaughan Howard and Matthew Greaves. 'A wound, disembodied' was an exhibition of drawings, photomontages and videos by Rohan Schwartz and Krishnamurti Suparka. Both artists’ works explored the compression of image and sight, and query the character(s) of human experience, evoking the heedlessness of time and the impediment of ignorance. ‘A wound, disembodied’ is a reference to Chris Marker’s film, Sans Soleil; its discussion of memory and forgetting. 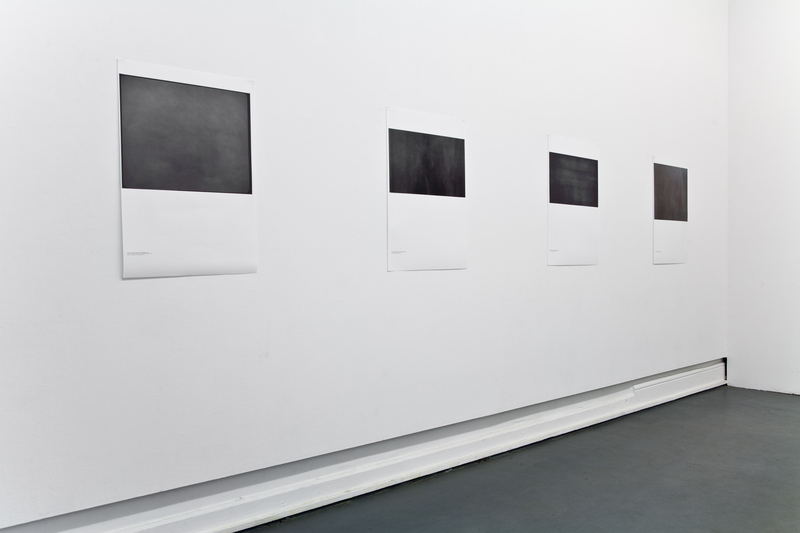 For the exhibition, Schwartz created large-scale, wraithlike prints by superimposing every frame of a music video upon each other at an equal transparency; pragmatic collages created by laying open magazines; and a video that shows an old white plasterboard wall going in and out of focus as the video camera which shot the footage struggles to decipher an object in its field of vision. Suparka presented a body of exceedingly elaborate drawings. Though those works on paper appear flat and resolute, closer inspection reveals these monochromatic micro-terrains to be vibrating with mutilated words. Rohan Schwartz. 'Showreel: The Golden Lion & People's Chi (2014)', 5 minutes. For further information see video description. 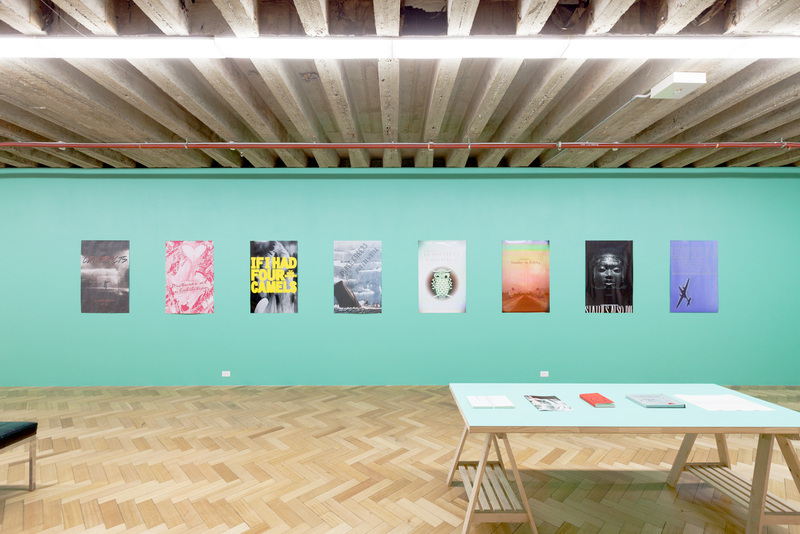 Normal Gallery (Matthew Greaves, Dan Miller and Rohan Schwartz). 'Peace Badges', 2013, 100 custom-manufactured lapel badges, unsolicited gift-giving to North Korean citizens, various locations, Pyongyang, North Korea – dimensions unknown. Normal Gallery (Matthew Greaves, Dan Miller, and Rohan Schwartz). 'Peace Badges', 2013, 100 custom-manufactured lapel badges, unsolicited gift-giving to North Korean citizens. Documentation of tour, outside Kumsusan Palace of the Sun, Pyongyang, North Korea. Pictured: Dan Miller (left), Rohan Schwartz (centre), and Matthew Greaves (right). 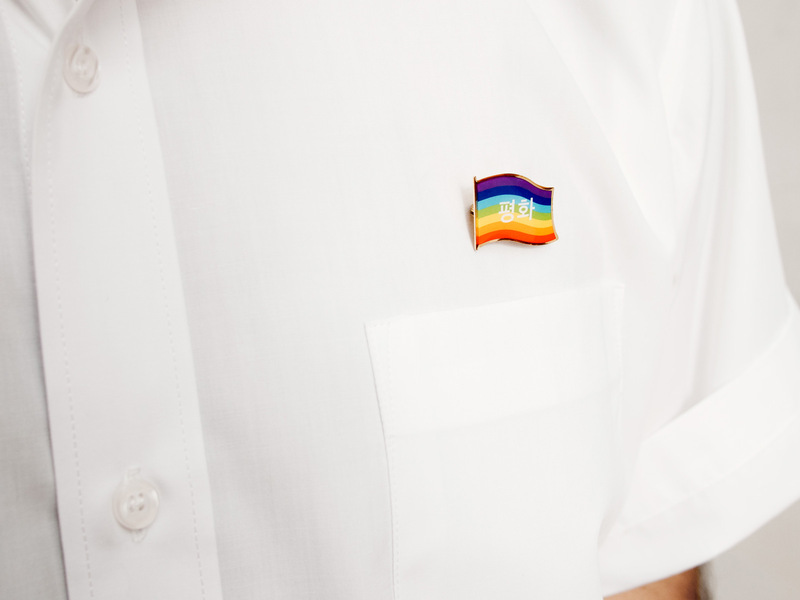 'Peace Badges' is the most recent project by three-person collaboration Normal Gallery (NG). 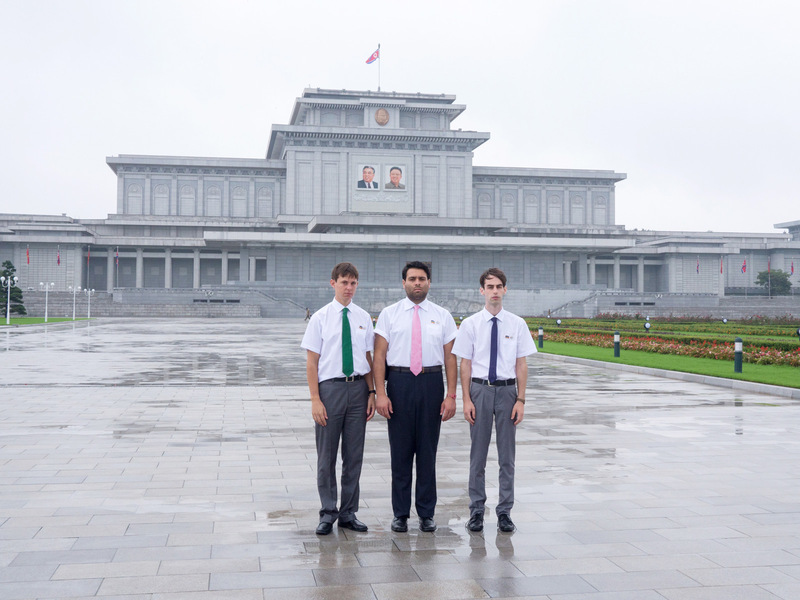 Completed in 2013, it involved members travelling to North Korea, taking on the role of tourists on an "independent tour". Within the framework of this act of niche tourism NG set up the conditions for the making of an artwork. Wearing smart clothing NG managed to surreptitiously hand out miniature artworks-as-gifts: 100 peace badges the size and shape of the typical North Korean ‘waving flag’ loyalty badge. ‘Australian Statues’, 2013, self-organised sales tour of Chinese streets and marketplaces. 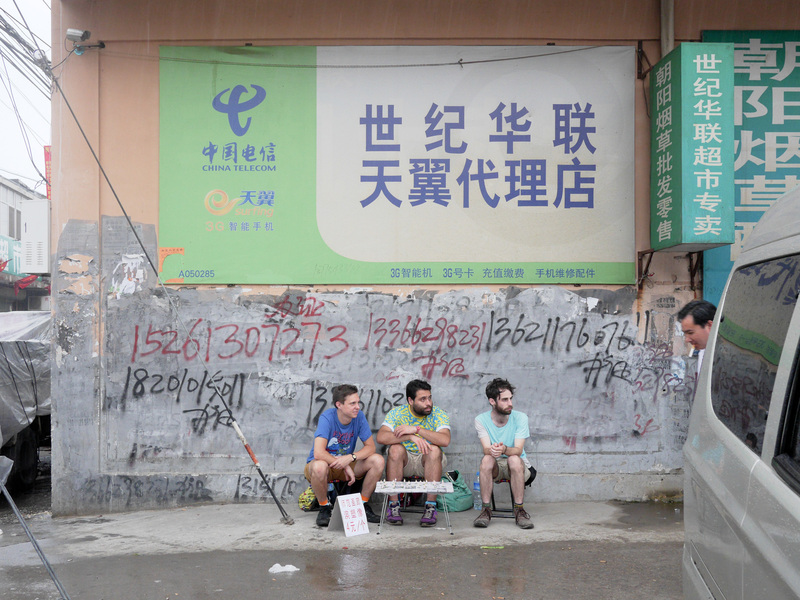 Documentation of streetside stall in Heiqiao Village, Beijing, China, July – dimensions unknown. In ‘Australian Statues’, Normal Gallery spent 300 hours painstakingly re-painting hundreds of Chinese-made souvenir Australian Aboriginal figurines. Now re-cast as archetypal Europeans, NG returned the figurines to China in what art critic Dylan Rainforth called a “coals-to-Newcastle exercise”. In provinces across the mainland, NG sold them on the street and in marketplaces at cost price, using the form of street-level commerce as a pretext for open-ended discussions with Chinese citizens about institutionalised labor, art production, and international trade.